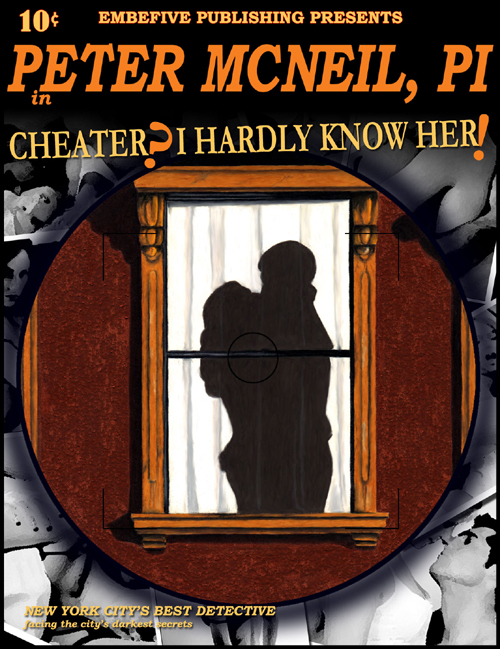 Peter McNeil is hired to find out if a wife is being unfaithful to her husband. It’s cases like this that really get McNeil excited. After a quick stop to get some supplies, McNeil is ready to set up his stakeout and catch that dirty cheating wife doing some dirty cheating. Things start off well but a neighborhood kid and a policeman are looking to cause McNeil some trouble. Will McNeil be able to get the evidence he needs to prove the wife’s a no good cheating harlot or will the police shoot down McNeil’s plans for a quick and easy paycheck? Listen to part 1 of Cheater, I Hardly Know Her to find out!